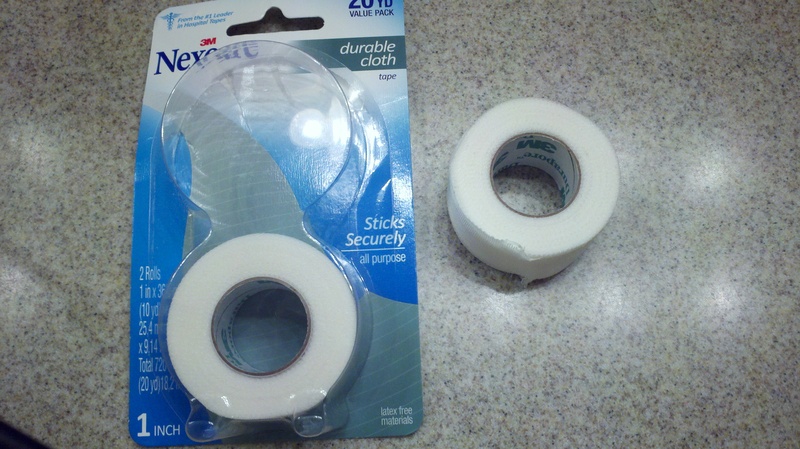 From Mom To Marathon » Do Not Tape Toes Before a Run! Do Not Tape Toes Before a Run! It has been a glorious week having the days off to spend time with the kids this week. The one thing I love about my job is my schedule meets the needs of my children. I am off when they are off and it works out perfect. We had a blessed Thanksgiving this week. This year I decided not to go all night for our annual black Friday shopping trip. Instead, I slept in and we left our house at 10:00 in the morning to get our Christmas shopping done. I am still trying to figure out why we purchase so many gifts for our kids because we should focus on giving to others just like Jesus did. It is because of Him that we can celebrate. Without the birth of Christ we would not have been offered His gift of eternal life. I am hoping one year when the kids get a little bit older we can forget the gifts and do a mission project. 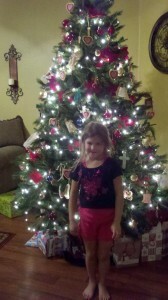 The kids did help our decorate the house this year. 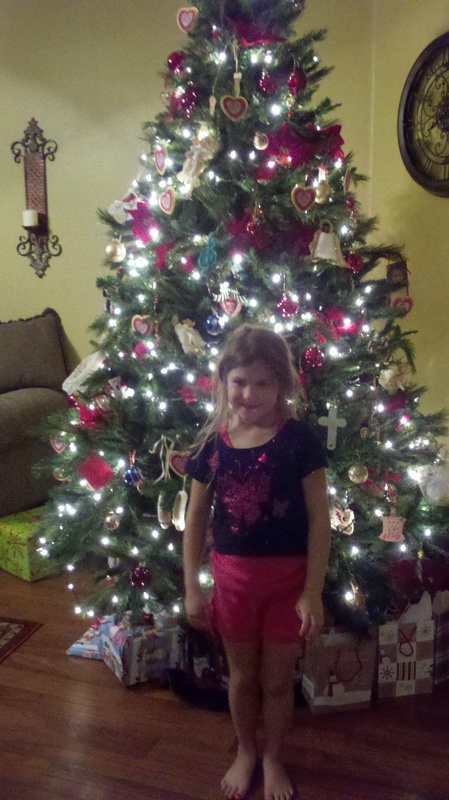 Rebekah did an awesome job with helping me put the decorations on the tree. I am more than blessed. Today I knew that I needed to get in some type of a long run in. The full marathon is only 7 weeks away and I am afraid that I may not be ready. The cold weather scares me because I freeze at 78 degrees! I was up and all ready at 6:00 this morning but got a phone call that my friend could not make it. So what did I do? I stepped outside and froze and ran back inside! All I needed was an excuse today not to run. So I decided to go to 9:00 Zumba! It was so much fun. Finally at 12:30, I decided that I better get my shoes on and run. My toes have been so sore lately due to all the extra running. When I was a ballerina we would tape our toes so that we would not blister our toes. I was thinking that would work with running as well. I taped the toes that were hurting and my big toe. That was not a good idea. While I was running I could feel the tape unravel and my toes were stinging. After mile 7 I decided to sit down on the ground and take my shoes off to see how my toes looked. It was a mess! I made more blisters because the tape was rubbing the other toe that did not have tape on it! Now I have blisters in between my toes! I ran 3.6 more miles and I was done! I could feel the pain of the blisters as I ran. Never again! On a positive note, I decided that I would train today at a relaxed pace that I would be comfortable to do my marathon. I wasn’t working hard and enjoyed the run besides the blisters! My average pace was 10:59 per mile. If I keep that slower pace up for 26.2 miles, I will finish the full marathon in under 5 hours! That is my goal. I know it will be tough but with God all things are possible! That is all I have to remind myself as I run that it’s not my strength but God’s. He can get you through anything.